This workshop aims to gather researchers in Enaction and Ecological Psychology in order to evaluate which are the complementarities, tensions, and overlaps between these two approaches. Methodological and scientific ontology: Ecological information, sensorimotor contingencies, and affordances. Epistemic issues: Ecological meaning, phenomenology, and sense-making. The social world within the enactive and the ecological approaches. Date: 9 & 10 July, 2019. Venue: Ignacio María Barriola Building ( Elhuyar Square, 1), University of the Basque Country. Tony Chemero, Ezequiel Di Paolo, Tom Froese, David Jacobs, David Travieso, Jorge Ibanez-Gijon, Lorena Lobo, Harry Heft, Julian Kiverstein, Erik Rietveld, Marek McGann, Vicente Raja and Miguel Segundo. The IAS-Research Centre for Life Mind and Society of the University of the Basque Country (EHU/UPV) in collaboration with the Institut d’Histoire et de Philosophie des Sciences et des Techniques (IHPST) of the University Paris 1 Panthéon Sorbonne École Normale Supérieure and CNRS will be hosting an international workshop in Philosophy of Biology. 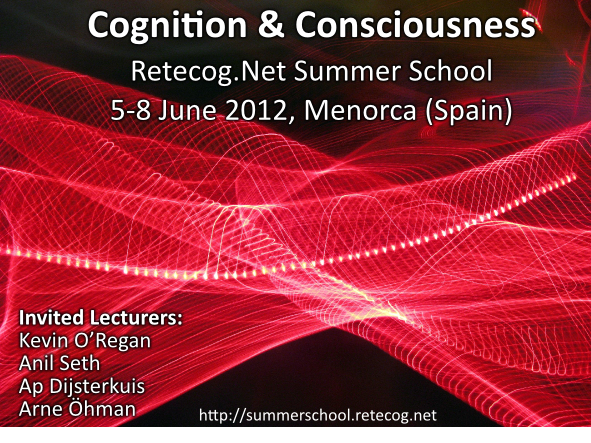 The workshop will discuss the notion of biological organization from a systemic- perspective. 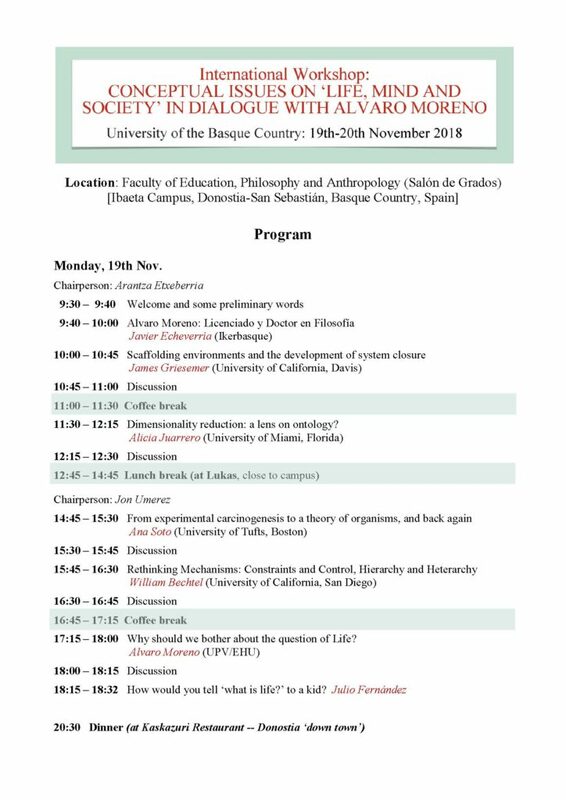 In particular it will focus on its intrinsic hierarchical dimension, and on the role organization plays in the understanding of the transition from pre-biotic to minimal living systems and of more complex forms of biological, cognitive and ecological systems. For more detailed information please contact the organisers Leonardo Bich and Maël Montevil. No registration and no fees are needed for attending the workshop. Access is free to everybody in the academic community interested in the topics of the workshop. If you intend to come, please send an email to leonardo[dot]bich[at]ehu[dot]es so that we can facilitate your entrance into the building. 15.40 – 16 :40 Gaïa: what was it about? 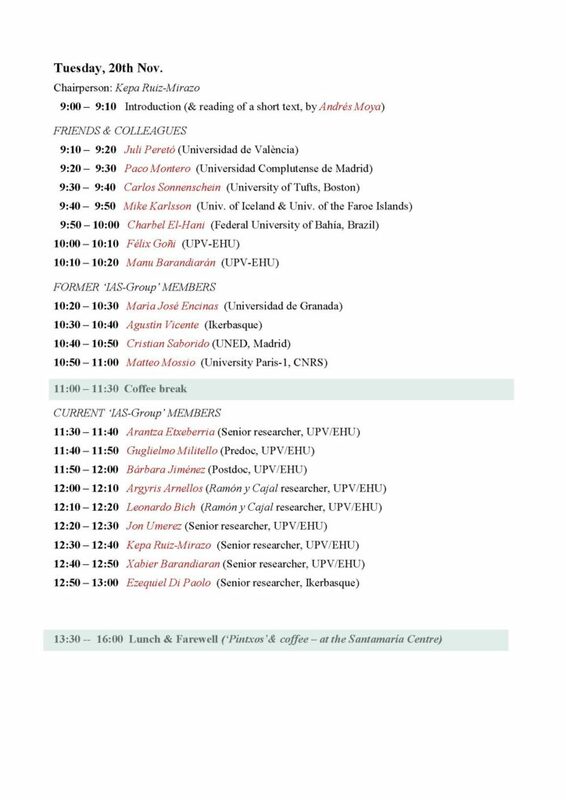 Madrid, 11th of Jan. 2013 — program.